A lay religious, Luigi Monti was born in Milan, Italy, in 1825. When Luigi was 12, his father died. Luigi became a craftsman in wood to support his family. An ardent youth, he gathered together many young artisans and farmers to become part of what was known as ‘The Company of the Sacred Heart of Jesus’. These young men stood out for their austerity of life, dedication to the sick and poor, and zeal in evangelising lapsed Catholics. In 1846, Luigi took private vows of chastity and obedience. For six years he was a novice in the Sons of Mary Immaculate, a young congregation, gained experience as an educator and learned the theory and practice of nursing care. The latter he used during the cholera epidemic of 1844 in Brescia, where he willingly accepted to be isolated in the local asylum with the sick. At the age of 32, he was still seeking his life’s work. He received a revelation during prayer before the Blessed Sacrament, and followed the suggestion of his spiritual director, to found a congregation in the service of the sick in Rome. Meanwhile in 1858, the Capuchin Fathers were in the process of creating a sort of Third Order of St Francis for bodily assistance to patients in Santo Spirito Hospital. Luigi asked to be admitted to this group and became a nurse assistant. In 1877, following the unanimous wish of his confrères, Luigi was made head of the Congregation of the Sons of Mary Immaculate, a post he held until his death. The rule of life of the congregation reflected his previous experiences. Nourished by the Eucharist and devotion to Our Lady, the Brothers dedicated themselves with heroism to the care of the sick. At times of mass admissions during epidemics, they did not hesitate to surrender their own beds for the sick and infirm. A visit from a Carthusian monk in 1882 was taken by Luigi as a sign from God that he should expand his endeavours to assist orphaned children, who were cared for in a family atmosphere of love and Christian living. Luigi died in 1900, completely worn out and practically blind. 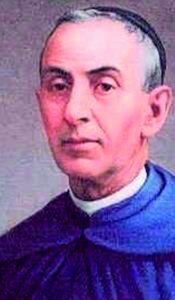 Blessed Luigi, obtain for us a true zeal to evangelise the world. 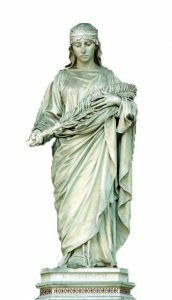 Reparata was a virgin and martyr, possibly mythical, of Caesarea in Palestine. Sources vary as to her age – from 11 to 20 years. She was arrested for her faith and tortured during the persecution of Decius. Her persecutors tried to burn her alive, but she was saved by a shower of rain. She was then made to drink boiling pitch. When she again refused to apostatise, she was beheaded. Her legend states that as she fell dead, her spirit emerged from her body in the form of a dove. Later elaborations of her legend state that her body was laid in a boat and blown by the breath of angels to the bay now known as the Baie des Anges in Nice. Her cult became widespread in Europe during the Middle Ages. She remained chief patroness of Florence until the High Middle Ages. Florence holds an annual celebration in honour of Reparata to commemorate its deliverance from the Ostrogoths in 406. Saint Reparata, help us to be faithful to our faith, even through persecution. Flora, patron of the abandoned, converts, single laywomen, and victims of betrayal, was born in France about the year 1309. She was a devout child and later resisted all attempts on the part of her parents to find a husband for her. In 1324, she entered the Priory of Beaulieu of the Hospitaller Nuns of St. John of Jerusalem. Here, despite many and diverse trials, and being made sport of by some of her religious sisters, she never ceased to please God and was granted many unusual and mystical favours. Once, she fell into an ecstasy and took no nourishment for three weeks. She was also known to levitate at times. Other instances of God’s favour were also reported, especially prophetic knowledge of matters she could not naturally know. Through it all, Flora remained humble and in complete communion with her Divine Master, rendering wise counsel to all who flocked to her because of her holiness and spiritual discernment. She died in 1347. 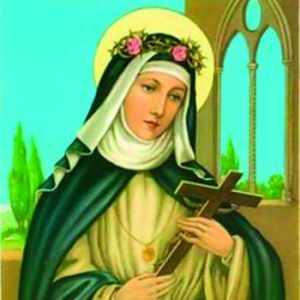 Saint Flora, teach us to find favour in the sight of God.